Burke Williams Offers a Mother’s Day to Remember: Unforgettable Spa Specials Perfect for Mothers and Daughters! Mother's Day Giveaway! Burke Williams Offers a Mother’s Day to Remember Unforgettable Spa Specials Perfect for Mothers and Daughters! Mother's Day Giveaway! Burke Williams Day Spa is pleased to introduce three special Mother’s Day packages to treat the women in your life to an unforgettable pampering experience. Each exclusive package, “Relax,” “Escape,” and “For Two” offers a unique combination of soothing services and enhancements for moms and daughters to indulge. Moms can “Relax” with a Spa Pedicure and choice of a 50-minute Burke Williams Massage or a 50-minute Spa Style Facial with peel for only $145 ($180 value). “Escape” with a Spa Pedicure, a 50-minute Burke Williams Massage and a 50-minute Spa Style Facial with peel, all for $245 ($310 value). Mothers and daughters can share a relaxing experience “For Two” and each enjoy a Spa Pedicure with choice of a 50-minute Burke Williams Massage or a 50-minute Spa Style Facial with peel for just $275 ($360 value). Guests must be 18 years of age to receive a massage or skin peel. Mother’s Day packages are available April 15 through May 12. Join us at a Burke Williams spa location near you or online at www.burkewilliamsspa.com for gift cards and reservations by location. Let Burke Williams take your loved ones beyond the spa this Mother’s Day. Enjoy a Spa Pedicure with your choice of a 50-minute Burke Williams Massage -or- a 50-minute Spa Style Facial with peel. Indulge in a Spa Pedicure with a 50-minute Burke Williams Massage -and- a 50-minute Spa Style Facial with peel. Each of you will enjoy a Spa Pedicure with your choice of a 50-minute Burke Williams Massage or a 50-minute Spa Style Facial with peel. I had the opportunity to got to Burke Williams in Torrance to relax and relax is exactly what I did! From the moment I entered the Spa to the time I left, I was treated like a princess! I enjoyed the spa amenities, facial and spa pedicure so much that it really was hard to leave! The Relax package really would make an amazing Mother’s Day gift! 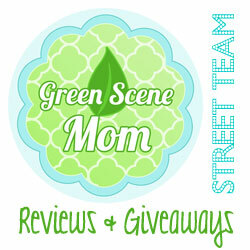 Now, for our Special Mother’s Day Giveaway! One winner will receive a 3-day Spa pass, which offers the winner 3 chances to use the spa amenities (Jacuzzi!) and receive 20% off if they book services on the day of the visit. You must be a subscriber to enter! Next, tell us your favorite way to spend “me” time or to relax! Deadline to enter is May 6th, 2013 at midnight. One winner will randomly be selected from all entries. laying on the beach or a bubble bath! Going to the beach! 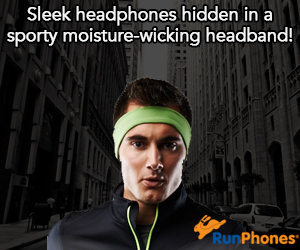 Or for a jog! Congrats K!!! Happy Mother’s Day! Wow, amazing blog format!How long have you been blogging for? from a simple blog make positive changes to life. pages as well as perhaps give visitors another path to take. along with the kids could be quiet for a few hours.